6-3/295 defensive tackle Aaron Maldonado has made a strong impression so far in fall camp and appears to be poised to contribute as a true frosh. 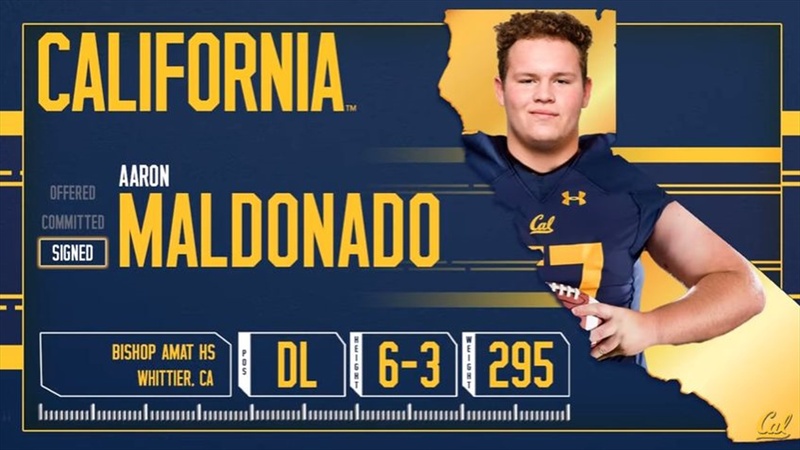 Maldonado committed to Cal after a strong senior season where he posted 77 tackles and 11.5 sacks for Bishop Amat (La Puente, CA) High School, earning Mission League Defensive MVP for the second straight year. After considering Cal early on, Maldonado committed to UCLA only to bounce back to Cal later in the recruiting season -essentially switching places with prior Cal NT commit Atonio Mafi, who's out for the season with a torn achilles, weighing in at a hefty 395.